Posted by AME in participation with the P&GMom program. Product was received for review purposes. Comments and opinions on this blog are those of the author. When you become a parent, one thing we always seem to lack is the one thing we need most - sleep. Getting the recommended seven to eight hours of sleep every single night is a task and a half in this household. I think it has been years since I got a decent nights sleep at a decent hour. It just seems so hard to unwind after a busy day when there is still so much to do. To help get back into a healthy sleeping habit, Febreze introduces new Febreze Sleep Serenity Collection - designed to help you sleep better in a relaxing environment. Three scents, Moonlit Lavender, Warm Milk & Honey and Quiet Jasmine transform any bedroom into a serene smelling atmosphere perfect for that good nights sleep. Unwinding in the evening before climbing into bed can make a big difference in the way we sleep. Febreze has teamed up with the National Sleep Foundation for some recommended sleep tips that will have you counting sheep in no time! Establish a regular bedtime schedule. Try to go to bed and wake up at the same times every day, even on the weekends. Trying to catch up on sleep on the weekends can actually have a reverse effect on the body, and make you feel more tired come Monday morning. Create your sleep haven. Create an environment that promotes sleep - dark, quiet, cool and comfortable. Fresh sheets, cooling pillows and black out shades can help. Fill the air. Incorporate soothing fragrances into your bedtime routine to help relax and unwind. Febreze Sleep Serenity Collection can help create a soothing bedtime atmosphere. Exercise. Getting your body up and moving is a great way to help you sleep. Exercise anytime, as long as it doesn't cut into your sleep time. Nighttime beverages. Avoid consuming drinks like coffee (eek! ), tea, sugary sodas etc after noon. Caffeine free herbal tea can help sooth you into a nice slumber. New Febreze Sleep Serenity is available in a bedside diffuser, bedtime mist, bedroom diffuser, or bedding refresher to help eliminate odor and fill the room with fresh, long lasting, relaxing scents that won't overpower your room. 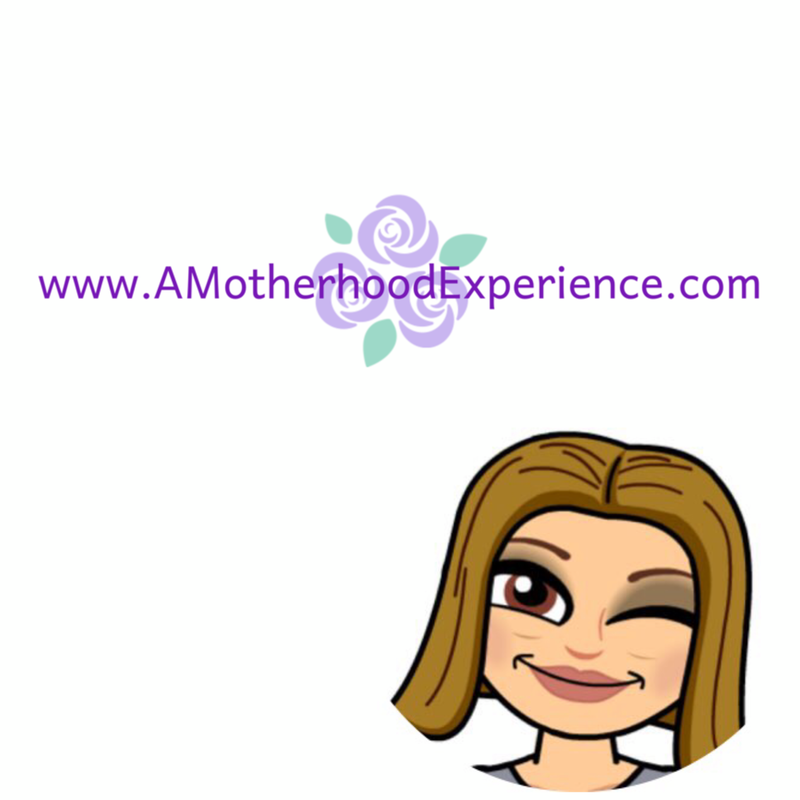 We tried the Moonlit Lavender scent in bedding refresher and it smelled terrific! It really did give our room a relaxed feeling. I enjoy using Febreze products to begin with and I am happy to add the new Febreze Sleep Serenity to our home. 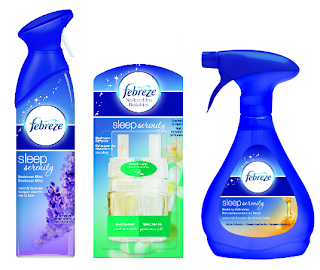 You can find new Febreze Sleep Serenity collection where Febreze is sold. Learn more about Febreze Sleep Serenity and other Febreze products by visiting the Febreze Facebook Page. My hubby's snoring disturbs my sleep! My giveaway tools name is Julie G.
Worries are what usually keep me up at night. Sometimes it can be hard to shut my brain off when it's time to go to sleep. I have found that making a "to-do" list before bed helps ease my mind a little bit. I have trouble getting to sleep because my minds start going once I get in bed so I usually stay up until I am so tired, I will fall asleep as soon as my head hits the pillow. Luckily I function best on 5-6 hours of sleep. I have no problem falling asleep but am awakened numerous times during the night by physical pain; I don't ever get out of bed because I've had enough sleep, I only get out of bed because I can't stand the pain anymore.. a real bummer! It takes me awhile to fall asleep ,but I usually sleep very well, unless the kids wake me up. I have two puppies (they're 5 years old lol) that get me up at all hours to go out. I get back to bed, and they're snoring away and I can't sleep right away. Can't help but smile as they are so darn cute! My kids wake me up in the night! I have a ten month old who wakes up 2-5 times a night still and a dog that wakes up at night about once a week too. My mind keeps me up at night. A good tip for sleeping is banana & warm milk before bed. Anxiety keeps me up at night. The more tired I am the more I worry about little things. My dogs keep me up! I usually fall asleep right away. If not, I count backwards from 600 and I never make it to zero. I have trouble falling asleep due to constant ringing in my ears from an inner ear disorder. I use a white noise machine to help me fall asleep and stay asleep. not much keeps me up - unless it is noise from surrounding areas, and then it is really more of the frustration that makes it hard to sleep. Otherwise, i'm usually asleep right away. We have squirrels living in one of the soffits of our roof, they can make a surprising amount of noise and sometimes keep me up with all the banging. I'm pretty good at sleeping through the night... except when pregnant! Heartburn and peeing keeps me up at night then! Right now what keeps me up is being 5 months pregnant...I just can't get comfortable at night anymore :( At least I know it'll end! I usually sleep very well, but when I am very anxious, I have a hard time sleeping. Taking a bath or having a ritual before bed helps. What keeps me up at night is anxiety. Melatonin is one thing I'd recommend to help. It has helped me. It can take me a while, but when I'm out, I'm out. I have horrible sleeping habits, I only get 4-5 hours a night. I don`t know what keeps me up,but I always have a problem going to sleep. I can`t have any noise at all,and I`m always thinking of weird things all night..lol. My mind keeps me up. I over analyze too much. If it's noise bothers you when sleeping, try using ear plugs. drink some sleepy time tea. the coyotes that go through the forest behind my house!!! I easily fell asleep, my advice is celestial tea or any other good one for sleep. The computer and TV keep me up at night! Turn them off to get some sleep! When my kids are going through a nightmare phase they they are screaming for me usually keeps me up and then they tend to wake up early too. Stress keeps me awake at night. I started having trouble getting to sleep as my mind was working overtime. Now I don't have a problem I just count 1 when I breath in and 2 when I breath out, amazingly it works with me. Not too much trouble sleeping. We work too many hours and are exhausted when we get a few hours off to sleep. I haven't been able to sleep well for years. I can't go to sleep and when I finally do I wake constantly mostly due to pain. It would be nice to get a really good nights sleep.